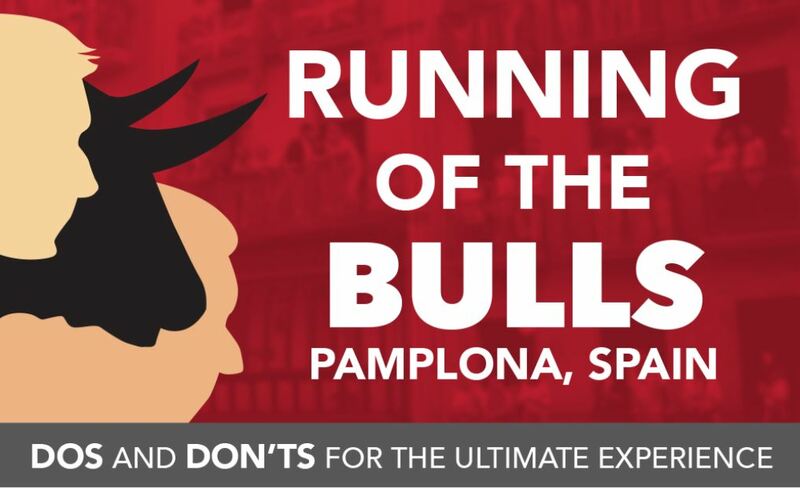 Each Summer, the staff at Bucket List Events spends the month of July in Spain for the San Fermin Festival, also known as the Running of the Bulls. 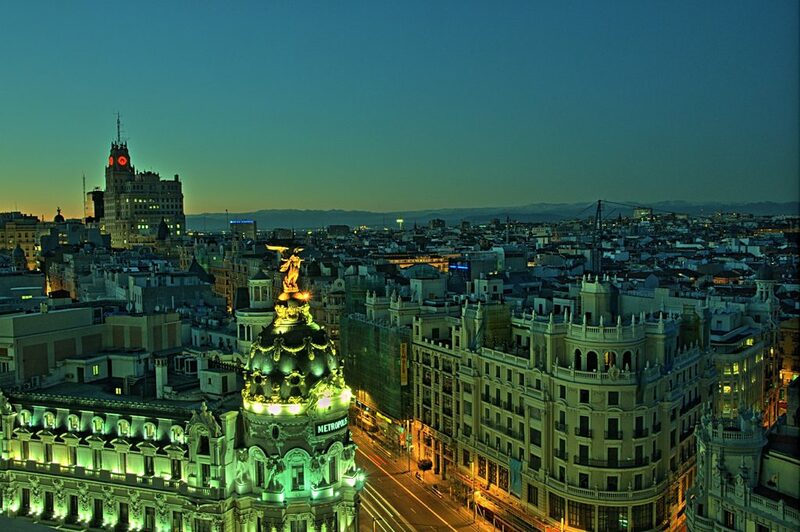 When we’re not experiencing the action in Pamplona, one of our favorite cities to visit is Madrid. 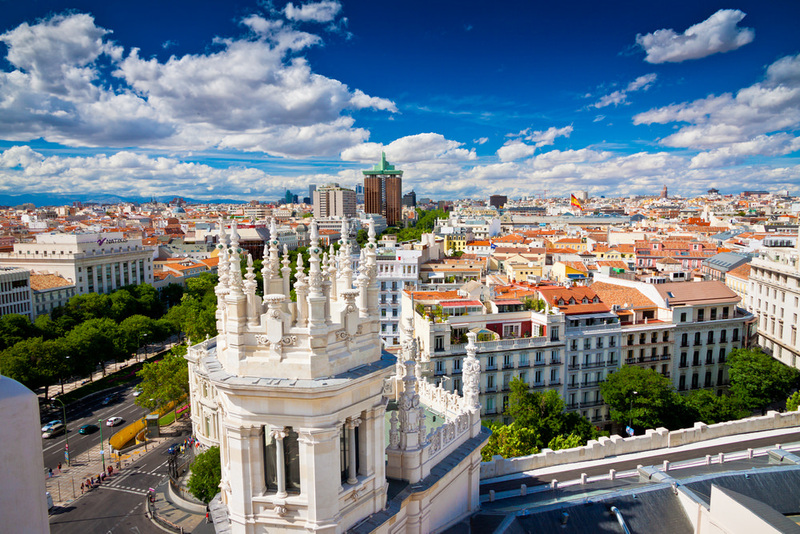 As Spain’s capital, Madrid is full of incredible architecture, history, and tradition. 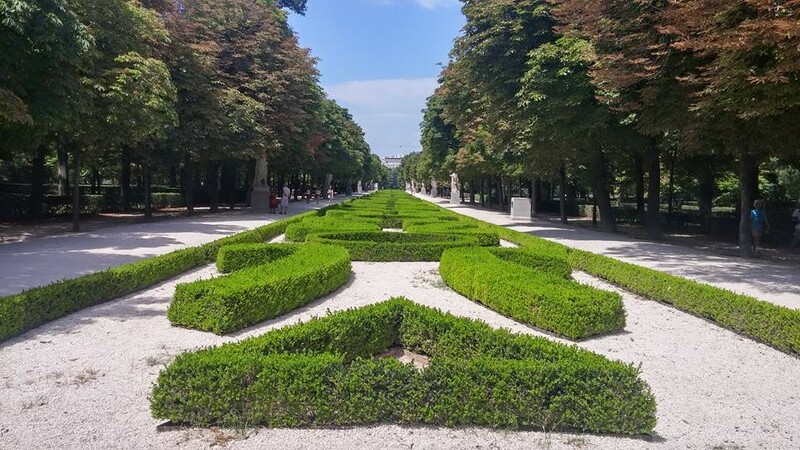 Madrid is the kind of city where you can find beautiful buildings, parks, and sights on every corner. Just walking around will give you plenty to look at. We recommend taking part in a bike tour, or renting a bike – you’ll see all the major sites in a leisurely afternoon this way! 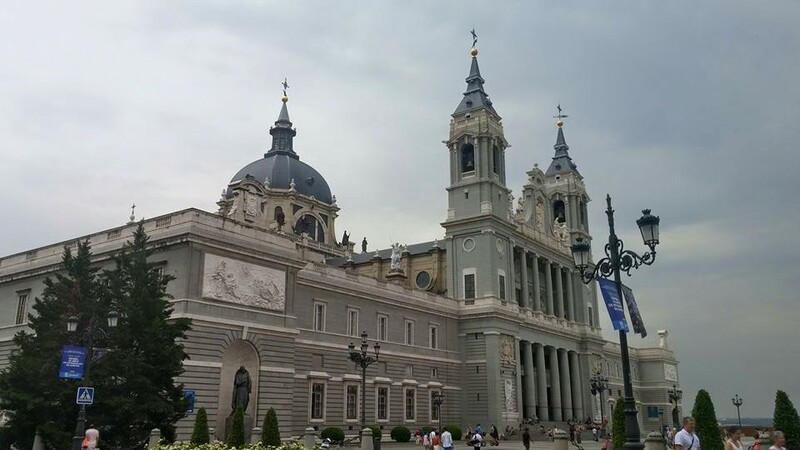 If you only do one traditionally touristy thing in Madrid, make it the Palace! Not only are the views incredible, but the history is fascinating (even for those of you who aren’t history buffs). 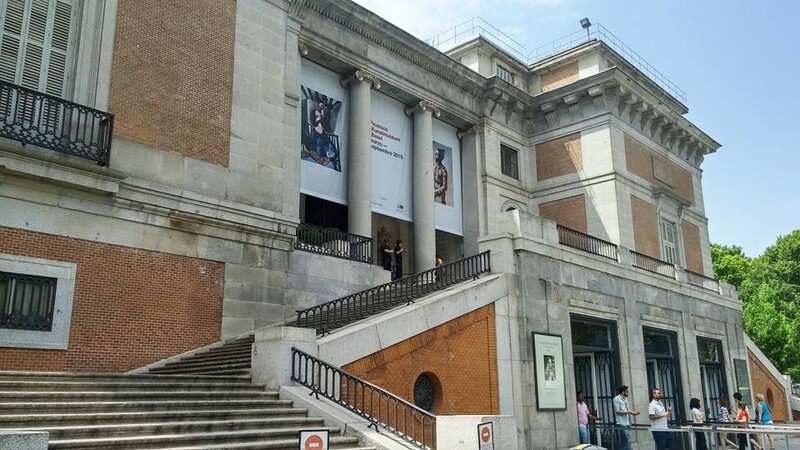 One of the most extensive art museums in Europe. Art buffs should dedicate at least one whole morning or afternoon to explore. Grab some sandwiches and a bottle of wine, cause this is the perfect picnic spot. We recommend renting a bike so that you can see the whole park. For soccer fans, hop on the metro and get an audio or guided tour right in front at the office. 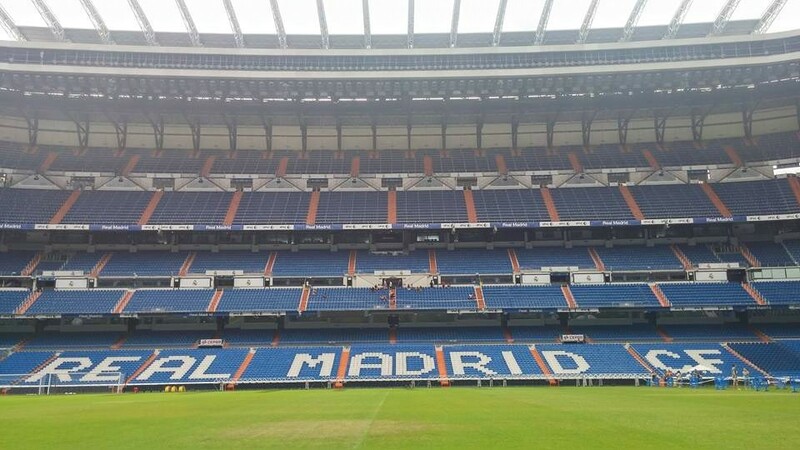 There are great display halls and even if Real Madrid is not your team, there is a lot of history worth seeing! Photo by Son of Groucho on Flickr. 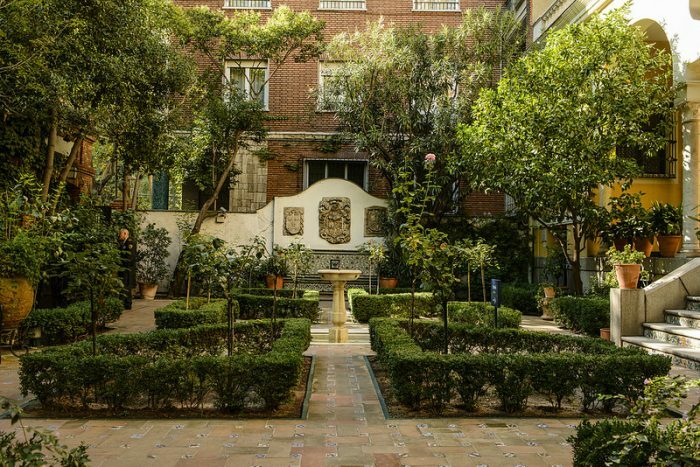 The Museo Sorolla was once the home of famous Spanish painter Joaquin Sorolla. In addition to displaying many beautiful works of his and his contemporaries, the museum features a beautiful garden. Photo by ©PromoMadrid, author Max Alexander. 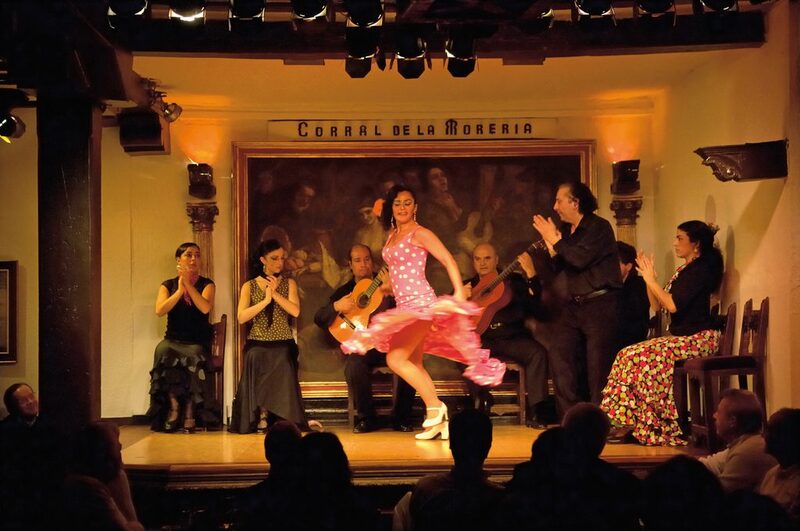 The best Flamenco show in all of Madrid is located near the Palace. Make sure to make reservations ahead of time, as slots fill up quickly especially on the weekends and in the busiest seasons. The show is a dinner-theater experience, so make sure you bring your appetite. From flea-markets to couture department stores, you’re sure to find a place to buy something to remind you of your travels in Madrid. Photo by Nicolas Vigier on Flickr. 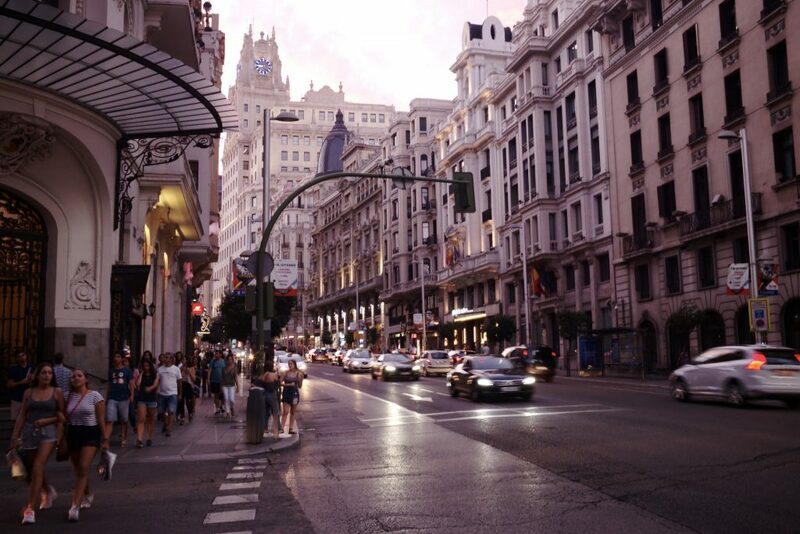 Gran Via is the central shopping district on Madrid, where you can find locations of a wide range of major retailers and designers. Photo by Jean-Pierre Dalbéra on Flickr. An awesome spot to enjoy lunch and a coffee al fresco. Plenty of neat shops can be found on the plaza, as well as great people watching. Photo by Tomás Fano on Flickr. 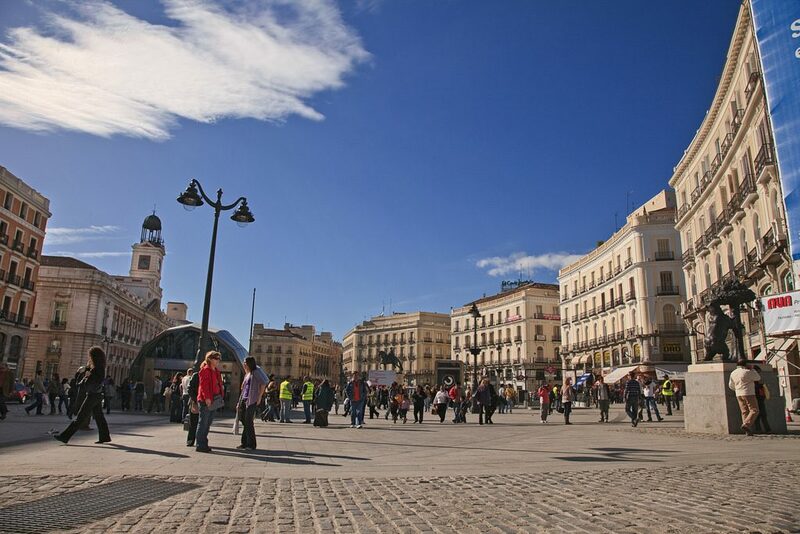 One of the citys major public squares, Puerta del Sol is one of the busiest sites in Madrid. 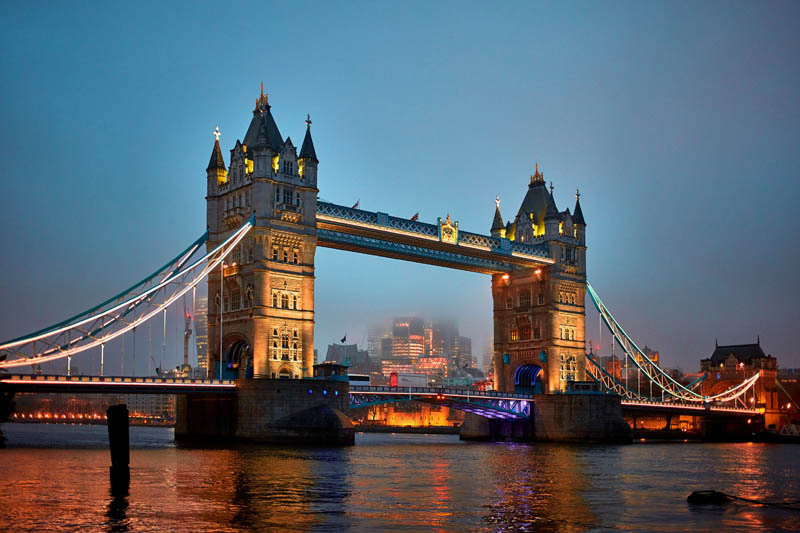 In addition to great shopping and cafes, lots of cultural events take place here. From Carnival parades, to the Christmas tree lighting, to political demonstrations, to artisan markets – there is bound to be something going on at Puerta del Sol. Head to Takos del Pastor on a Sunday – everything is just one euro! 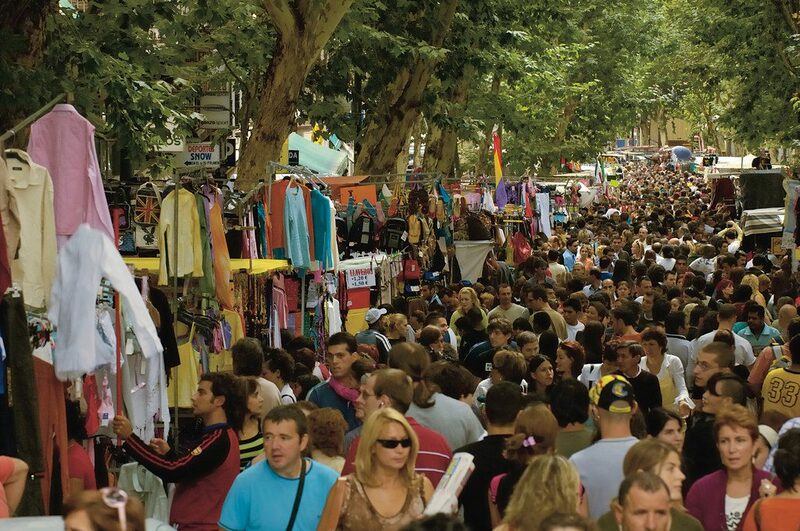 This booming flea market happens every Sunday in the La Latina neighborhood, an area filled with old architecture and narrow, quaint streets. Each area of Madrid has its own unique personality. 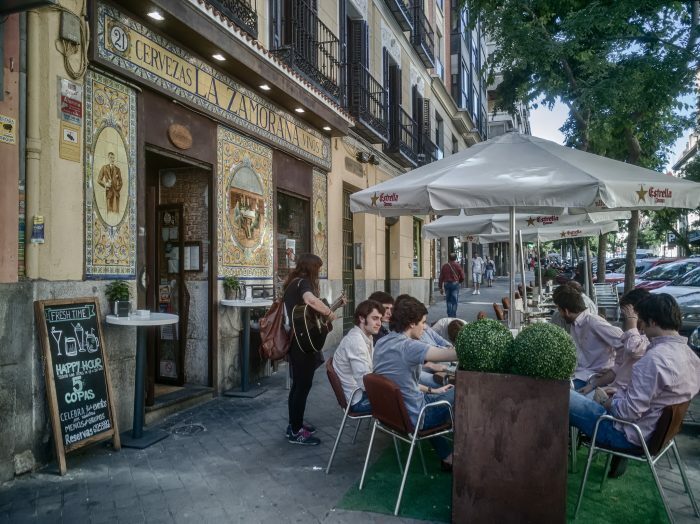 Here are our favorite neighborhood spots for three of Madrid’s coolest neighborhoods. Photo by Iberica on Flickr. Lateral de la Castellana: Good for early drinks, especially their Oxtail! Marieta: Open 24/7, and is as amazing for breakfast as it for weekend afternoon drinks and pre-gaming. Tatel: Restaurant with a great bar and DJ for dancing. La Cuchara: Venezuelan restaurant with amazing arepas, patacones, etc. Ten Con Ten: Mind-blowing truffle risotto, good food and atmosphere. La Maruca: Gourmet tapas. Try the avocado tartar, papas bravas, squid ink fideua. Streetxo: A BLE staff favorite. This Michelin-Star restaurant is owned by celebrity chef David Munoz. Long waits, especially on weekends! Get a seat at the bar to watch the cooking. Cascabel: Mexican gourmet. Try the drink called Cascabel (lleva chipotle, tamarind, and mango). Platea: A theater converted into a gourmet market and event space. A DJ plays on busier evenings. Magasand: Cozy little spot for great sandwiches, soups, salads, and pizzas. Vicool: Owned by celebrity chef Sergi Arola. The patatas bravas are good and so are the prices. Paraguas: One of the priciest restaurants in Madrid, but worth it for foodies. Álbora: Owned by Michelin-Star chef. Pricey and long waits, but an excellent fine dining experience. Panaria: For a quality Mediterranean breakfast. La Sota: Our favorite pre-game spot. Photo by Felipe Gabaldón on Flickr. Museo Sorolla is found in this quaint neighborhood, filled with ornate old homes and plenty of dining options. Plaza de Chamberi: Excellent spot for coffee or dessert al fresco. 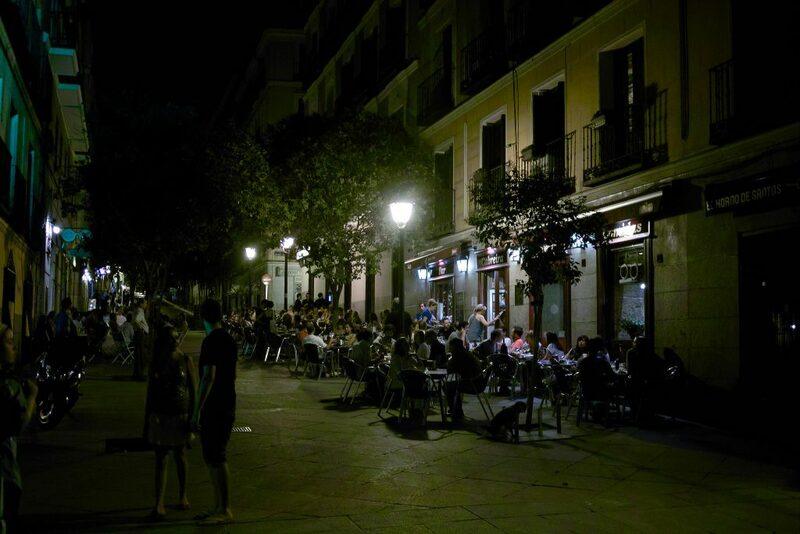 Plaza de Olavide: Another great place to dine outside and people watch. Bar Tomate: Try their gin mojito! Sala de Despiece: A BLE Staff favorite for fresh and creative cooking. Nakeima: A tiny Japanese restaurant that makes all their own sauces (no soy sauce or sriracha to be found!). With only a 20 person capacity, show up early and ready to wait. 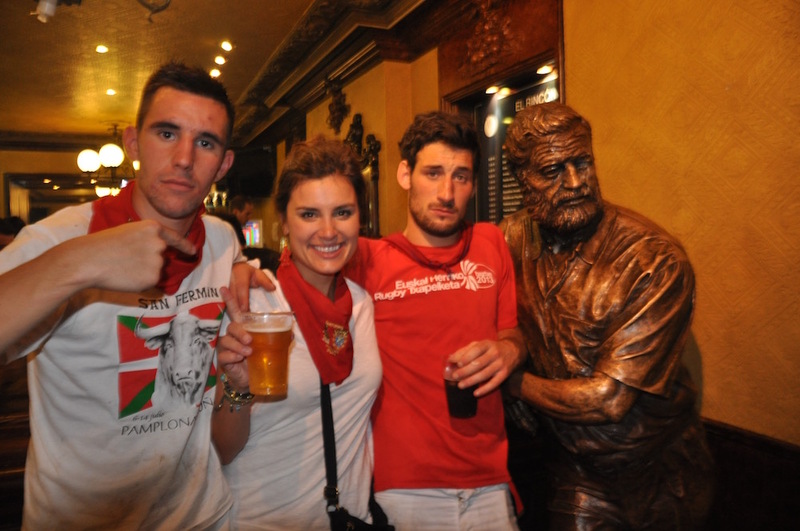 Malasaña is one of the hipper, more nightlife- and studentlife-centered parts of town. Walk through Calle de Pez (Pez Street) for many authentic restaurants, bars and cafes, bookstores, vintage stores, art galleries, etc. Federal Café: Australian restaurant with incredible brunch. Casa Julio: Best Croquetas in town. La Bicicleta: Nice coffee shop for a mellow, quiet time and a tasty sandwich. Zombie Bar: Amazing hamburgers that won’t disappoint Americans. Toma Café: Great coffee and good vibes. Hanso Café: More great coffee and good vibes. 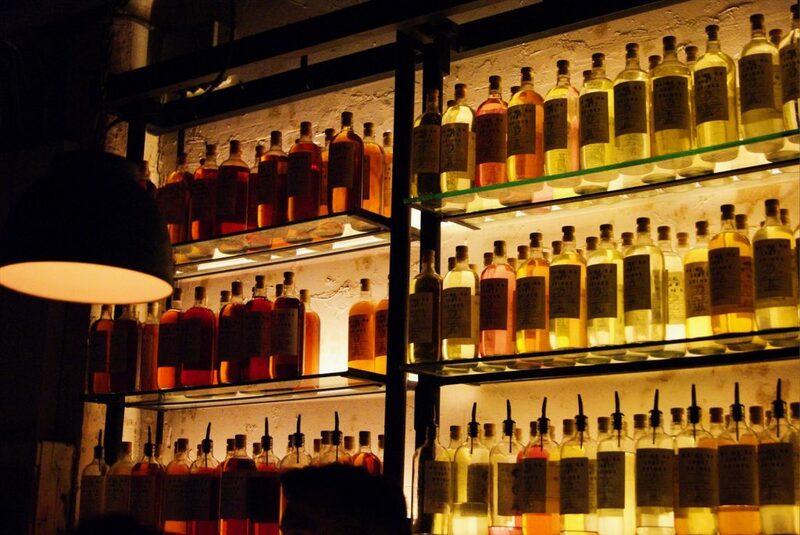 Head to Macera for an unforgettable Gin & Tonic. Photo by Marta Marugán on Flickr. Macera: Gin & Tonic bar. Bar Ojalá: Bottom part of this bar has a beach theme and is full of sand. Areia: House music and an intimate vibe. Makandé: Flamenco music in a small tavern for a very authentic experience. You have to go in through a restaurant called “Entre Amigos”, you’ll find the bar at the bottom of some steps. El Junco: Jazz bar with amazing live acts. View from the roof of the CBA building. Photo by Felipe Gabaldón on Flickr. 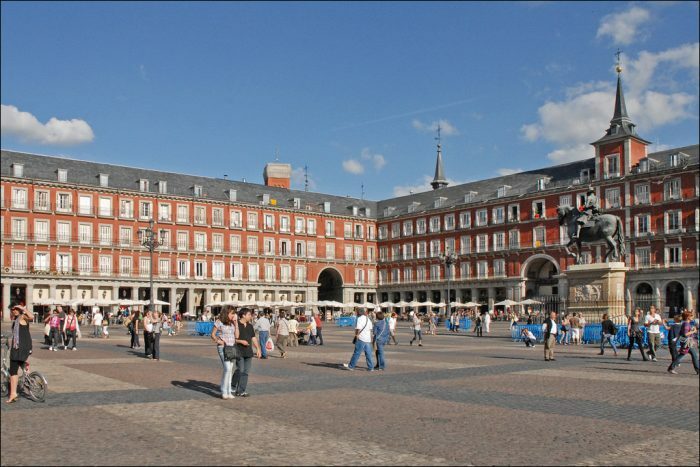 Madrid is a must-see city for anyone on their way to the Running of the Bulls in Pamplona! Experience the rush of a lifetime and see some of Spain’s most beautiful cities with Bucket List Events.